SINGAPORE - The stork delivered two Christmas babies - a girl and a boy - at the stroke of midnight this year, both at Mount Alvernia Hospital. 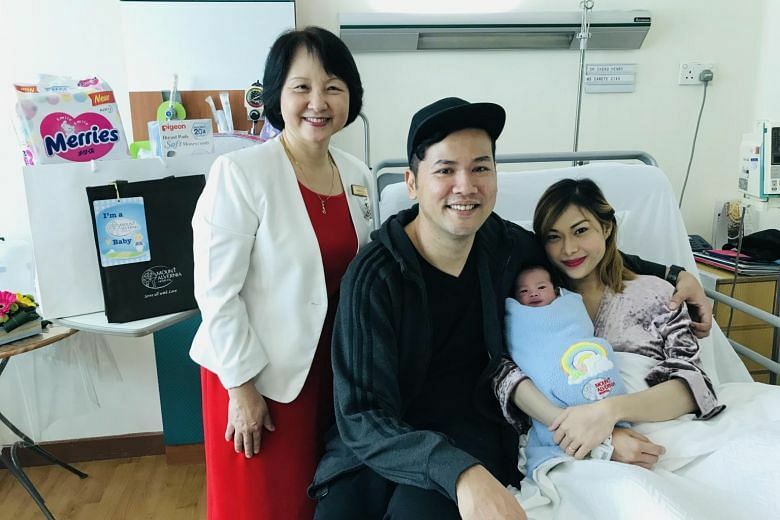 Baby girl Charlie weighed in at a healthy 2.75kg and she is the first child of bank officer Choong Yong Thai, 31, and his 29-year-old optometrist wife Chua Si Qi. The Singaporean couple dated for about 10 years before tying the knot on Sept 25, 2016. Ms Chua was in labour for about four hours on Christmas Eve, before giving birth to Charlie through natural delivery on Tuesday (Dec 25). 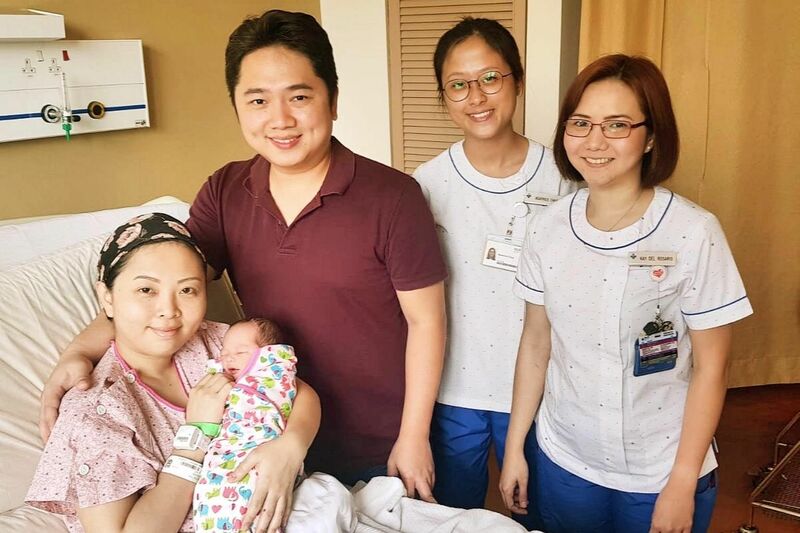 Speaking to The Straits Times via a phone call from the hospital, Mr Choong said that he was not expecting Charlie to be a Christmas baby, much less to enter the world at precisely midnight, as his wife had been due to deliver on Dec 30. "If anything, we thought she might be a New Year's Eve baby instead," he added. Ms Chua first experienced contractions at around 4am on Christmas Eve, but these eased during the day. However, later in the evening, just as the couple were deciding whether they should order dinner in, Ms Chua had another round of contractions. They decided to ring their doctor first and were off to the hospital at around 8pm. Mr Choong said that as he and his wife do not usually celebrate Christmas, they are happy and excited that there will now be a reason to celebrate every Dec 25. He added: "This is the best gift that we can possibly receive for Christmas." Just four seconds after baby Charlie gave her first cry, Mr Ibrahim Mohamed Ridwan and Ms Canete Eunice Sara Clave also welcomed their bundle of joy, Mohamed Hanif, at the same hospital. Weighing 3.265kg, Hanif was delivered naturally after his 27-year-old Filipino mother went through five hours of labour. The baby boy is the second child of Mr Ibrahim, who works in the operations team in an oil and gas company, and Ms Clave, a housewife. The couple also have a two-year-old son. Mr Ibrahim told ST on Tuesday that Hanif was meant to be a Boxing Day baby. But on the morning of Christmas Eve, the Singaporean's wife complained about having some discharge, though she did not feel any strong contractions. The couple, who had already packed their bags for the hospital, decided to take a walk and do some window shopping at Thomson Plaza, as it was not too far away from the hospital. Soon enough, Ms Clave felt she was ready to deliver and they rushed to the hospital at about 6pm, he said. He said that they were excited to welcome their baby son "after waiting for nine long months". About 1½ months ago, the couple settled on the name Hanif, as they felt its meaning embodied their hopes for their newborn son. Said Mr Ibrahim: "Hanif means being upright and being religious. So we hope that he can grow up to be a strong and religious person, who is of good character." Mount Alvernia Hospital's director of nursing Shirley Tay presented both parents with hampers and gifts, including breastfeeding products and baby diapers. Ms Tay said: "We are always delighted when we deliver a new baby into this world... We wish all babies good health and a blessed journey in life." Other babies that were born on Christmas day include little Eleanor Luna Wirawan, who was delivered at the National University Hospital at 2.42am. Eleanor weighed in at 2.66kg and measured 49cm. She is the second child of Indonesian parents Malvin Surya Wirawan, a 37-year-old finance manager, and his wife Khoo You Yun, 33. 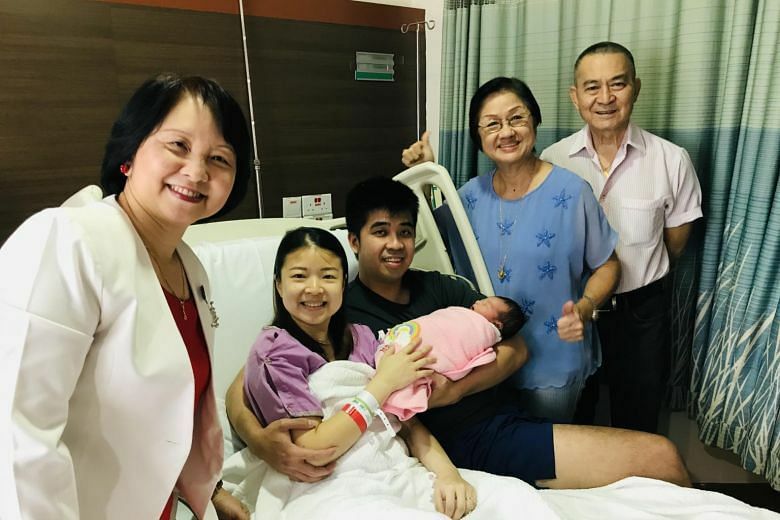 The couple, who are Singapore permanent residents, were surprised to see the same anaesthetist doctor who helped them with the first child six years ago. Over at Thomson Medical Centre, the first Christmas baby - a girl - was delivered at 3.43am. The girl is the third child of Singaporean parents Renee Wong and Mark Lim, both 41. Madam Wong, a manager, had carried her baby girl for 40 weeks and her expected delivery date was on Christmas Eve. Mr Lim is an associate lecturer at Ngee Ann Polytechnic. Their child weighed 3.355kg at birth and measured 50cm.